The Royal Oak, the best watch in the world. The first time I saw a Royal Oak I was a young boy at our family haberdasher in Italy getting suits for our upcoming holidays. Our tailor was a very elegant man and he was showing off to my father his newly acquired Royal Oak Jumbo, beautiful black dial and AP at 6 o clock. My dad was bragging he also had a Royal Oak in the early 80s, yellow gold 36mm, he had sold to Davide Halevim a year after he bought it. Regrettably, I have never seen it. 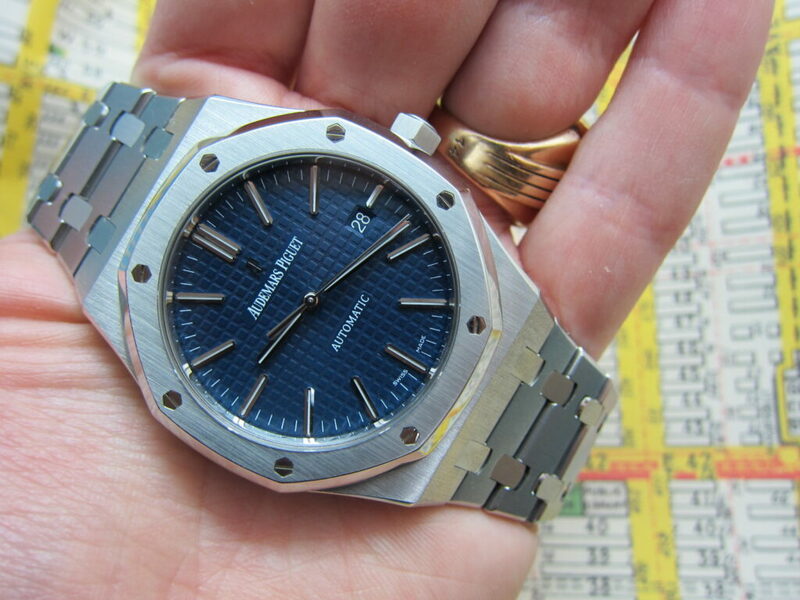 The Royal Oak is the only top category watch in today’s insane watch market that is still buyable at an interesting price, retains it’s value and is an instant classic. I love the fact there are numerous variations,metals,sizes,complications and editions so that you can never have enough and there is always something to discover. The Jumbo extra thin caliber 2121 has been kicking strong since the 70s and the Gerald Genta Octagon case is one of the most iconic designs ever. The Royal Oak is a watch that looks great with a suit, with jeans and at the poolside. Looks great on a guy as much as it looks on a girl. I love the sculptural design and finish on the bracelet, it is one of the most interesting bracelet designs ever, what a play of light when the sun hits it! Below a gallery of all the APs I sold so far. What a great weekend relaxing with my kids at home ..
super rare 14802 Jubilee edition black dial! Today I nailed it ! 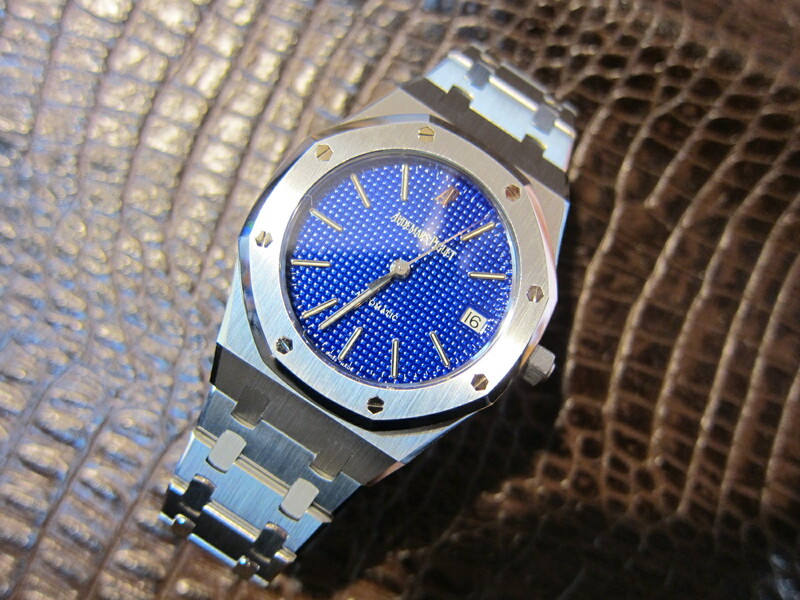 Bought an ultra rare #audemars #royaloak #rose gold 36mm stunner!